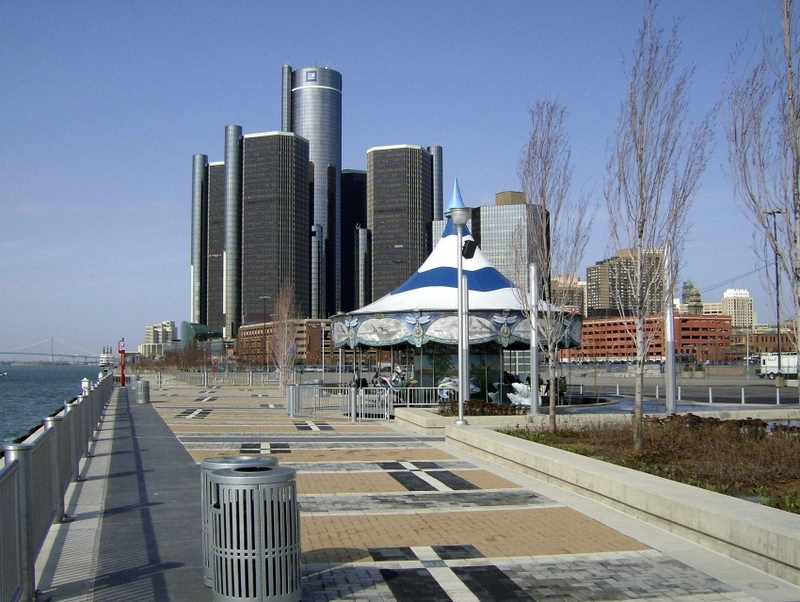 This promenade in Downtown Detroit runs along the Detroit River from the Joe Louis Arena to Rivard Plaza. The RiverWalk is a popular destination for various activities including walking, jogging, and rollerblading. The RiverWalk passes through and by a number of area landmarks, including the Tri-Centennial State Park Lighthouse, the Detroit River and Hart Plaza with its Underground Railroad Memorial. Detroit RiverWalk is a great destination for the whole family, and even includes a spouting fountain for kids and people of all ages to play in on a hot day.